Pre-competitive research and collaborate may rankle some people, but it has proved enormously effective. In the history of semiconductor technology, one of the critical non-technology changes was the point when the biggest companies realized that they could not afford to do all the basic R&D. They agreed to collaborate in “pre-competitive” phase development through consortia such as IMEC and Sematech. IMEC is celebrating its 30th anniversary, and it’s interesting to recognize the significance of these consortia – even if they sound disturbingly non-capitalist to some! It’s worth noting that it took a special regulatory exemption to allow the collaboration. 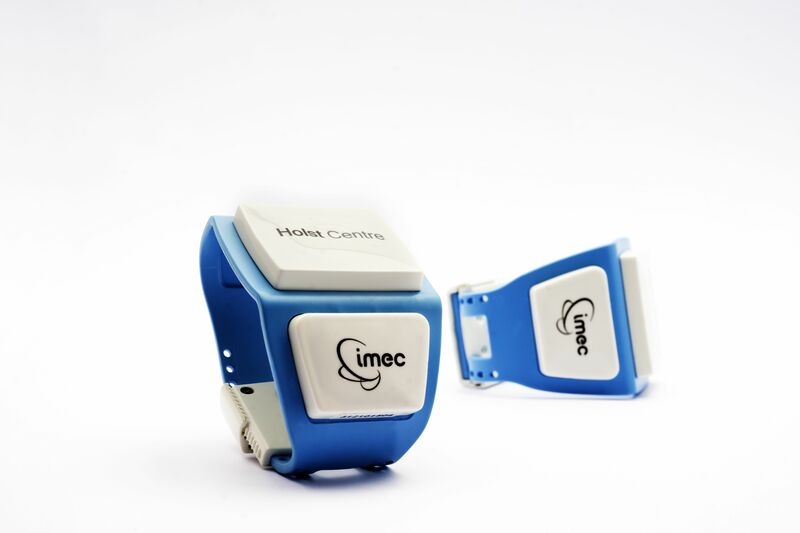 IMEC is based in Belgium, and was initiated by the Flemish government to help the European manufacturers to compete. It has evolved into an international resource funded by all the big names in the semiconductor business with 80% full time employees. The best example of the impact of IMEC is the ascendance of ASML. The company was a spin-out from Philips Research and was formed the same year as IMEC. IMEC has collaborated on numerous process development and demonstrations of capability for ASML tools. Today, ASML is a $6 billion-a-year company and is the world’s number #1 supplier of remarkable lithography tools with jaw dropping capability — more than 100 300 mm wafers an hour, resolution of features less than 100 atoms wide, positioned to less than 10 atoms — or less than 1% of the exposure wavelength. 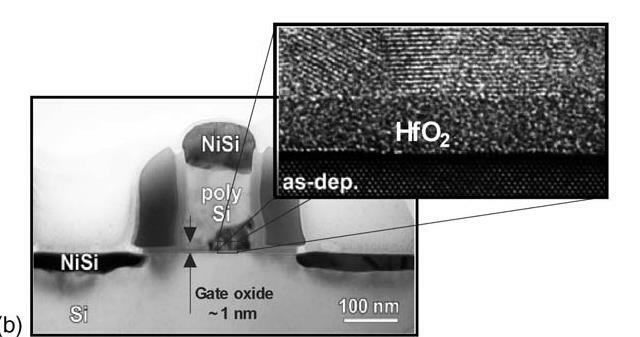 These lithography tools enable the shrinks and lower cost per transistor that have driven the electronics revolution. This year ASML and IMEC announced a new patterning center for future technology developments as the equipment and enabling process technology become deeper entwined. Other developments that have seen commercialization include Hafnium-based high-k dielectrics and finFETs. A example of Hafnium oxide gate is shown below. One of the points made by IMEC was once the commercialization phase starts, they often do not know exactly how the members implement the technology. It’s the difference between “pre-competitive” and “competitive” phases envisaged when IMEC was created. I am always interested in non-traditional applications of semiconductor technology. For example, wearable electronics has appeared as an application for flexible electronics in several of my blogs. The ASML niche is their “human ++” network with a bunch of wireless sensors that can be used to collect all sorts of bio-data. This is a hot area, there were all sorts of demonstrations of sensor products for the activity nerds at CES 2014. My take on this is that the IMEC contribution is another example of the idea that, “the electronics revolution as a triumph of classical capitalism,” is just too simplistic. The contribution of small companies and startups is obviously the best example of practical capitalism to the electronics revolution. Along with “too big to fail” there is also “too big to succeed” – meaning that big challenges require big money, and rightly or wrongly these do not happen without big collaborations between companies and with governments. The issue of whether that is fair competition is an open question. It is an interesting issue to discuss for other big problems, such as clean energy, as well.